The cryptocurrency market is flooded with all sorts of altcoins and tokens, each claiming to be the next hit. A savvy investor always knows to look even in smaller, lesser-known coins, knowing that over time, they have the potential of increasing their value or their use cases. Newbie traders will have some difficulty in determining which crypto has the best prospects, as there are a lot of cheap copies, useless forks or ICOs. Below is a detailed examination of three less popular cryptos that are available on the market and are said to have an impact in 2018. NANO is ranked 32nd on CoinMarketCap (CMC), and it currently trades at $4.76 USD, having a market cap of $634 million. The core idea behind the Nano coin in its original creation was to be an improvement on Bitcoin by functioning as a means of transfer that doesn’t require any fees, has instant transactions, as well as being infinitely scalable. Unlike most cryptocurrencies, Nano doesn’t use a blockchain to record its transactions. Instead, it uses an implementation of the ‘Directed-Acyclic-Graph’ (DAG) algorithm, called block-lattice system. It doesn’t require miners and / or 51% of the network to approve a certain result. Each account comes with its own blockchain, known as an account-chain. These account-chains are generated with each genesis block and are increased with each transaction that is issued by the account. In that system, each transaction represents a block, and each block can be independently distributed within the network. Nano has no fees, meaning that users can make thousands of transactions for free. To avoid spam transactions and network congestions, a small PoW is required for each transaction. This can be done in advance to make the transaction instant. The transaction system in Nano was created in such a manner that it does not require a lot of space and which helps reduce network size and requires small network bandwidth. The Network architecture enables numerous types of applications and interactions. The delegates can record the entire transaction history, validate blocks, and take part in consensus votes. The full nodes observe the network traffic and can store the history in a trimmed form, retaining only the last block from each account-chain. All Nano coins were given to traders by a faucet that was run for several months. The faucet automatically sent a small amount of coins to the wallet address specified by the user. Seeing as the Nano coin seeks to eliminate the scalability issues, latency problems, and high fees that plague Bitcoin transactions, many investors will be looking to have this coin in their portfolio. Wanchain (WAN) has the 40th rank on CoinMarketCap (CMC), and it currently trades at $4.76 USD, having a market cap of $ $504 million. Wanchain is a blockchain-based financial platform that allows the transactions of digital assets across different blockchains by implementing cross-chain transfers. 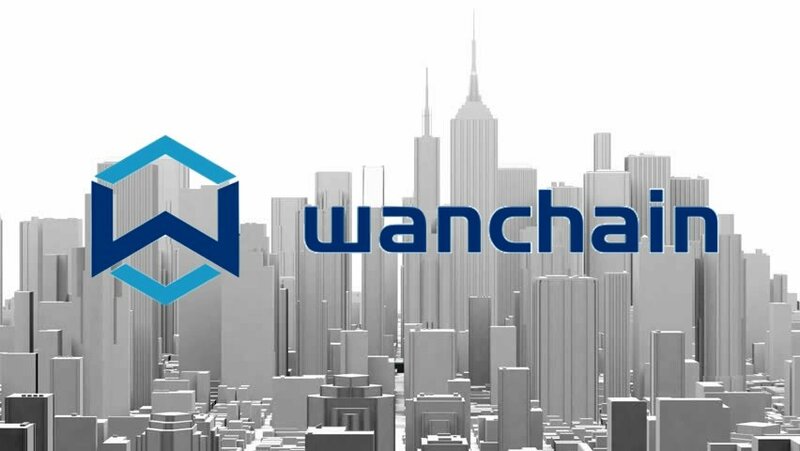 Wanchain works as an independent blockchain which connects and exchanges various digital assets from other independent chains in a distributed network. The platform has implemented a cross-chain protocol into a distributed ledger which stores cross-chain transactions and intra-chain transactions. But Wanchain also has many other applications aside from facilitating cryptocurrency transfers. By using smart contracts, privacy protocols, and the Wancoin (WAN), developers can create multiple decentralized apps and use cases. WAN is the in-platform coin of Wanchain. Transactions necessitate a certain amount of WAN. The WAN coin is needed to pay security deposits for the cross-chain verification nodes when transacting. All users have the possibility of participating in the validation of a transaction and by doing so, they are eligible to receive a share of the transaction fee. If you own over a certain sum of WAN, then you are able to run a verification node and receive WAN. Wanchain has the potential of being huge in the financial sector, as it’s able to facilitate loans, investments, and payments on its platform. Out of all the three cryptos discussed in this article, Pundi X is ranked the lowest (at 1337), trading at $0.01. While the ranking status may seem discouraging, its very low value is advantageous for those that do not want to invest too much capital in a project. Pundi X is a decentralized platform that aims to make cryptocurrency available for the general public and facilitate purchases for them. They seek to issue their ‘point of sale’ smart devices to retailers so that they can accept payment with their token, lowering the fees for the retailer. Pundi X‘s objective is to become the biggest decentralized offline cryptocurrency sales network. This payment platform that will leverage the Ethereum blockchain makes cryptocurrency payments or transactions easier. It will feature retail intelligence, inventory administration, order management, marketing, loyalty programs and transactions via mobile wallets. Pundi X will also be creating their own POS device, their own app, and even their own physical card. The Pundi X token is an ERC-20 based token that is used to reward the retailers and is also the platform’s medium of exchange. PXS is the token that is currently being used on the Pundi X platform. The PXS token can also be used as “gas” to fuel transactions in the Pundi X network. As the Pundi X ecosystem will continue to develop, naturally the demand for PXS will also increase and the earliest investors will benefit from this the most. Pundi X (PXS) is currently in the process of swapping to Pundi X (NPXS) and the swap will end on 9/20/2018. The PXS token can be swapped at a 1:1000 ratio, with 1,000 NPXS tokens till September 20th. As cryptocurrencies are becoming more and more known by the mainstream public, their adoption as a practical currency will lead to many retailers seeking for the advantages and applications of Pundi X. These three cryptocurrencies have great potential due to their practical and numerous use case, and, as a result, their value will implicitly increase over time, when more investors will get involved with them.